Omnivore vegetarian digestion speed comparison is a hot topic when hardened meat eaters clash with dyed in the wool vegetarians. Vegetarians often believe that they have discovered the best and healthiest way to live while dedicated omnivores cannot believe that vegetarians can possibly be getting all of the nutrition they need. So, who digests food faster? And does it really matter after all? Let's get the facts. Omnivore Vegetarian Digestion Speed Comparison - Who Is Faster? Place your bets now - what moves faster through the digestive track - meat or plants? Although it is counter intuitive to what some people think, vegetarian digestion time is actually longer - significantly longer - than that of meat eaters. The reason is simple. Plants require a lot more work by your digestive system than do meats. Most of the food we eat is digested in the intestines rather than the stomach, and scientists believe the length of our intestines was determined by the fact that humans have always tended to eat a combination of meat and plant based foods in their diet. The distinction to be made when talking about omnivore vegetarian digestion speed comparison is that the answer really depends on the type of diet the vegetarian eats. A vegetarian who sticks to a predominantly plant based diet will definitely take longer to digest their food than an omnivore, but if their diet is made up largely of processed foods, then their digestion time is the same speed, if not faster than your average omnivore. Scientists believe that the digestion time for plant food developed for evolutionary reasons. People who gathered plant food for their families or tribes needed a slow, steady supply of energy to keep going, and so they ate the plants they picked as they worked. Their bodies adapted to digesting that food slowly so there would be a steady energy supply. On the other hand, people who hunted often needed a quick burst of strong energy. They could easily become prey themselves and needed to be able to fend off attacks and move quickly. While they were out hunting, naturally the food they had access to was meat based protein, and so their bodies adapted to digesting and converting that food into the right kind of energy. The food supply of the hunters and the gatherers were often combined together for the community, so humans developed a digestive system capable of managing a combination of meat protein and plant products. The flipside is that the digestive track is slightly shorter than would be ideal to handle an all plant food diet. Does Digestion Speed Really Matter? So, who cares who digests food the slowest? Does it really matter? The slow and steady supply of energy that vegetarians get from a lengthy digestion process saves them from the peaks and crashes of energy that some meat eaters get. (Again, this counts for plant based food eaters. Processed foods will give vegetarians that late afternoon crash just like anyone else.) It is in fact rumored that vegans have the most energy of all. Slow digestion speed makes you feel full for longer - debunking myths that vegetarians feel hungry all the time. These two benefits are undeniable, but in the long run, most experts agree that the difference in digestion time for vegetarians is really not that important. Most people who are vegetarian by choice live in a place where food is not hard to come by, and they have access to a wide variety of food choices. In real terms, slow digestion may protect from some minor annoyances, but there are not significant health benefits to slower digestion. Of course, there are some downsides to slow digestion. 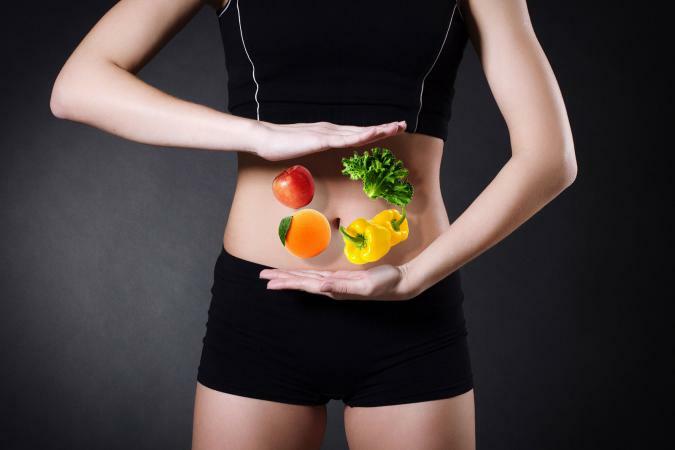 When your digestive system has to work hard to break down your food, you will feel it physically. Many vegetarians, especially new vegetarians, struggle with indigestion and bloating for this very reason. Vegetarians digest their food more slowly than omnivores, but the benefits are negligible at best.